MSU Visits Philly for Spring Break! 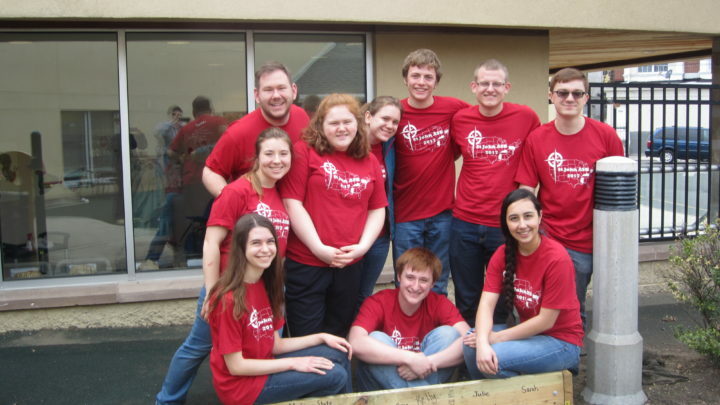 Mercy Neighborhood Ministries offers quality programming in the areas of Early Education & Youth Development, Health & Wellness for the Aging, and Adult Education. 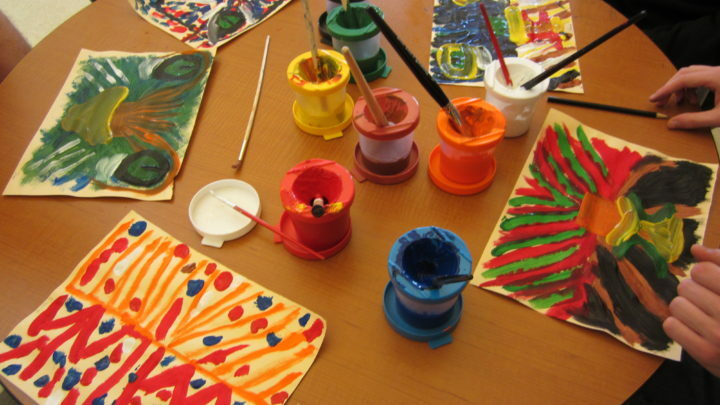 The students visited children in preschool classrooms, painted cat faces, and played games with older adults. S.P.I.N. provides services and support to adults and children with intellectual, developmental and autism spectrum disabilities. Here the students interacted with the children and helped build digging stations for the children to play and develop their sensory skills. 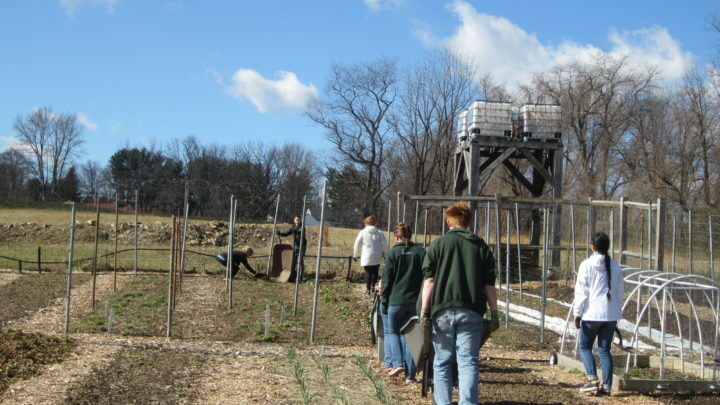 Redeemer Valley Garden, a ministry of the Sisters of the Holy Redeemer, is a place to nurture sustainable soil to bring forth food and flowers, and to grow community by sharing talents, energy and abundance. Our students lovingly prepared the ground for the start of this year’s herb garden and painted creative designs on the planting posts that will identify the various garden plantings. Aid for Friends serves over 1,800 homebound friends, providing them a weekly visit and a free daily meal. Students cut and diced vegetables for dishes that would be delivered to many friends. 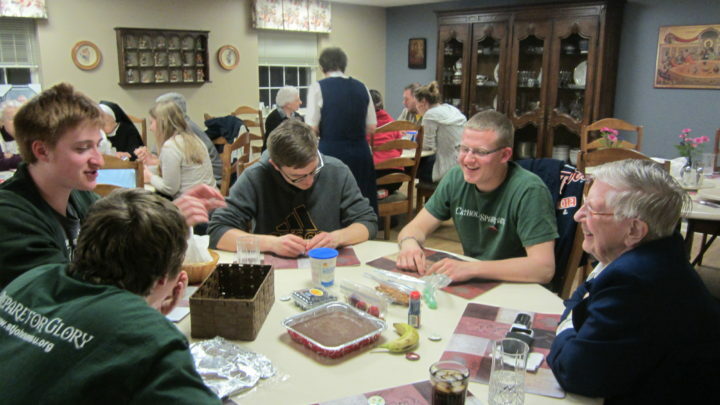 On Thursday, we all enjoyed a special dinner and dessert in honor of National Catholic Sisters Week. 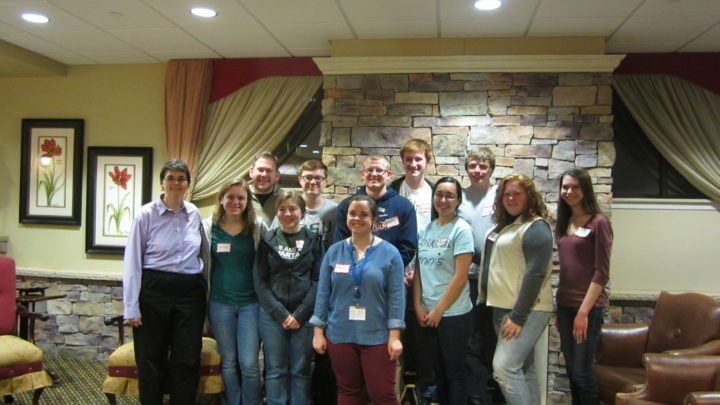 This was a unique opportunity to celebrate the Sisters and allow the students the chance to discuss vocations over their “taste of Philly” dinner. 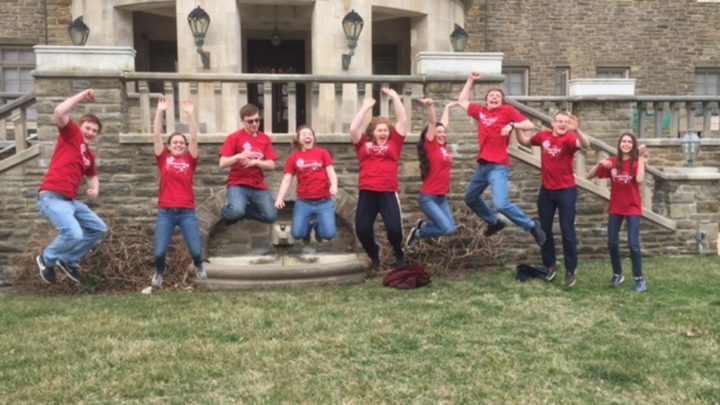 Following their cheese steaks and Tastykakes, the Sisters and students together formed four teams for our “fun, fellowship and fudge” event. Inspired by the television show “Chopped,” each team started with a foundation of fudge and a charism of the Sisters. 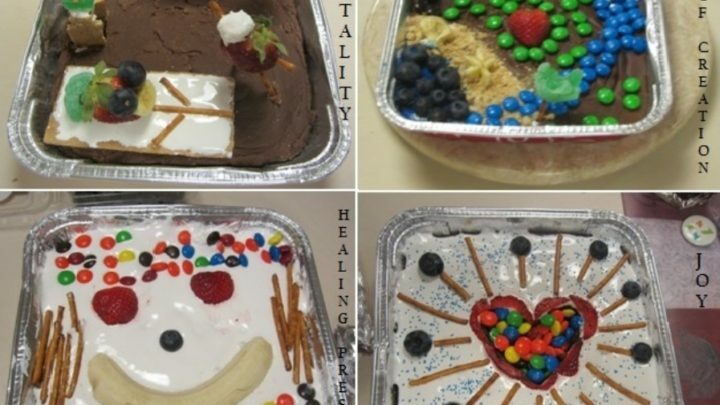 Drawing from their baskets of ingredients, each team designed a deliciously descriptive dessert that conveyed one of the four charisms: healing presence, joy, hospitality, and care of creation. The evening concluded with a prayer service of praise and thanksgiving and a beautiful sharing of vocation stories and joys of the week. The students wrapped-up their week by braving the snow on Friday and exploring the city of Philadelphia before returning to Michigan on Saturday. They shared what a great week they had and were so grateful for the hospitality and generosity they were shown from the Sisters. 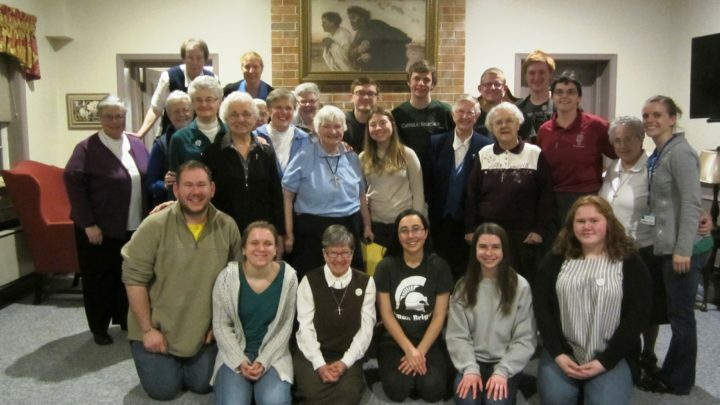 Redeemer Ministry Corps and the Sisters were so grateful for the student’s joy-filled presence and dedication to service. We wish them many blessings as they return to their studies at MSU!